Those were exactly the words that came out of my mouth during a conversation on the trail last week with our main-man at SRAM MTB Europe, Alex Rafferty. We were halfway around a local loop, having ridden out of Singletrack Towers a good while beforehand. It was a touch fresh out, but in a good way. We were kindly treated to a very light drizzle to helped cool us down after several hundred vertical metres of climbing, but most importantly, the singletrack was dry and fast. Alex was aboard his personal Evil Calling, and I was riding a new Commencal Meta TR V4.2. Both bikes were loaded up with shiny new SRAM goodies, including brand new 2018 RockShox Pike RCT3 forks. 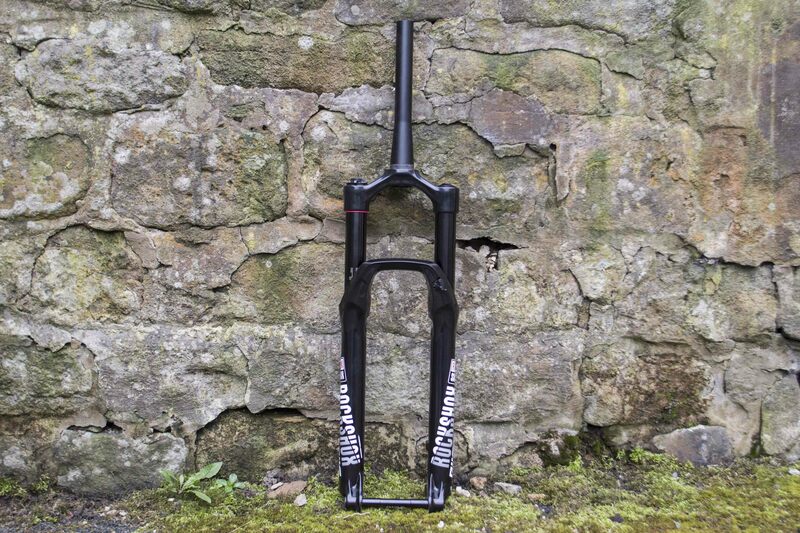 This right here, is the 2018 RockShox Pike RCT3 fork. 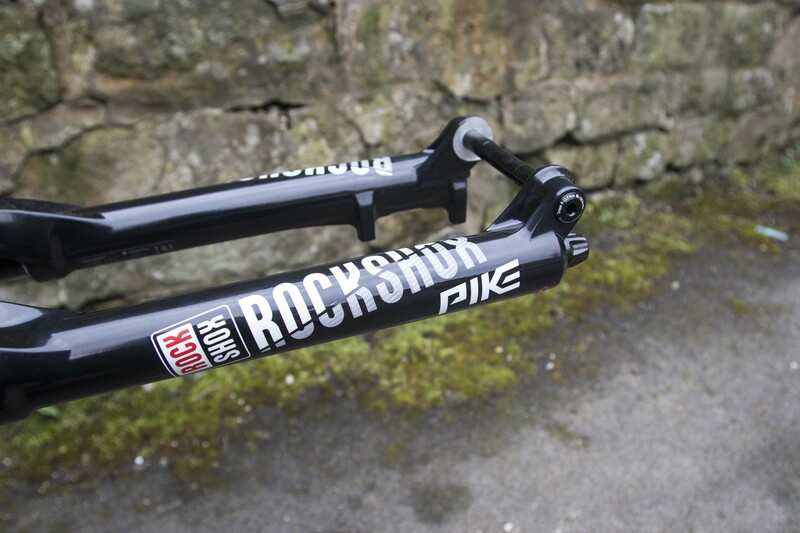 The RockShox Pike is one of the best known names when it comes to modern suspension forks. The name itself has been around for some time, having first launched back in 2005 alongside the original Reba when SRAM bought out RockShox and kickstarted the brand into becoming what we know it as today. The Pike was always a good and reliable long-travel trail fork, but it was the re-launch of the Pike back in 2013 when things really started to move along. It looks like a Pike, but everything is new. At the time, that Pike blew pretty much everything else out of the water. It was far smoother than any other trail fork on the market, but it was also wickedly stiff, and supremely controlled over a wide range of riding conditions. And that’s what made it so very good. 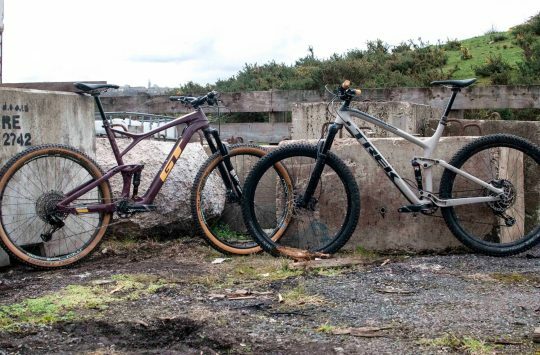 Such was the fork’s popularity though that RockShox received demand to make it in all sorts of different travel lengths and multiple wheelsize options too. Everyone wanted a Pike. Whether it was hardtail 29er riders, enduro racers, weekend trail riding warriors, or 650B plus bike riders, the Pike quickly became the fork to have. Same black 35mm upper tubes, but the entire chassis and internals have been redesigned. Off the back of the Pike’s popularity, RockShox spawned a new Lyrik fork two years later in 2015. Essentially a dedicated longer-travel version of the Pike, the Lyrik introduced a burlier chassis, and even more controlled suspension performance to lift the bar even higher for bigger travel bikes. It was billed as a proper, fully-fledged enduro fork, covering the territory that the Pike had filled up until that point. From the point the Lyrik was (successfully) introduced to market in 2015, RockShox decided it was time to update the Pike. And two years later, we have the end result in our hands; the 2018 Pike. The new Pike will be available in both 27.5in and 29in versions. Travel is 120-160mm (27.5in) and 120-140mm (29in). Although the existing Pike was already a very good fork, it’s no secret that RockShox’ competitors have been catching up in recent years. The likes of Fox, X-Fusion, Öhlins, DVO, Formula, Manitou and BOS have been delivering killer trail forks that are constantly raising expectations, and riders nowadays have an enviable choice when it comes to front suspension options. As such, RockShox wanted to push ahead with the new Pike, and to do that, everything was up for scrutiny. Not much about the MY18 Pike fork isn’t new. It’s got a redesigned chassis, a new DebonAir spring, a refined Charger 2 damper, and new wheelsize compatibility. 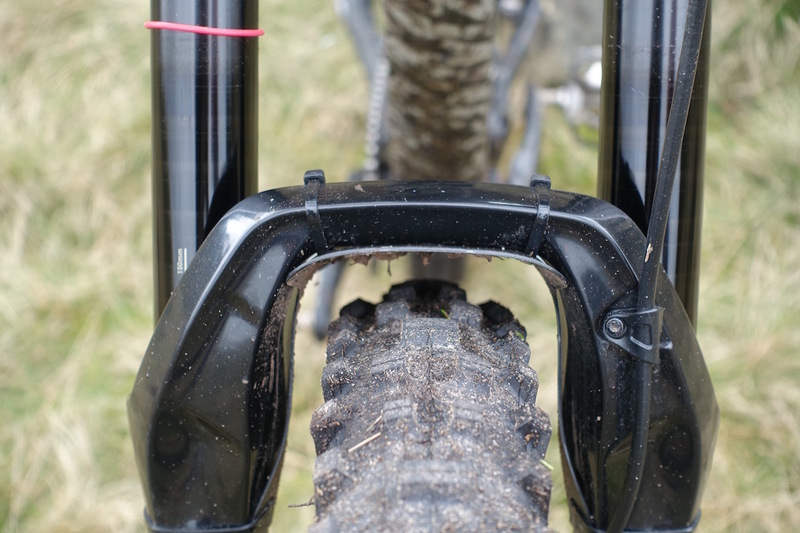 Of course RockShox wanted to make the new fork lighter, stiffer, smoother, more adjustable and all that, but another key goal was to open up the ability to run a handlebar remote lockout – a function that up until now, was otherwise impossible with the current Pike. 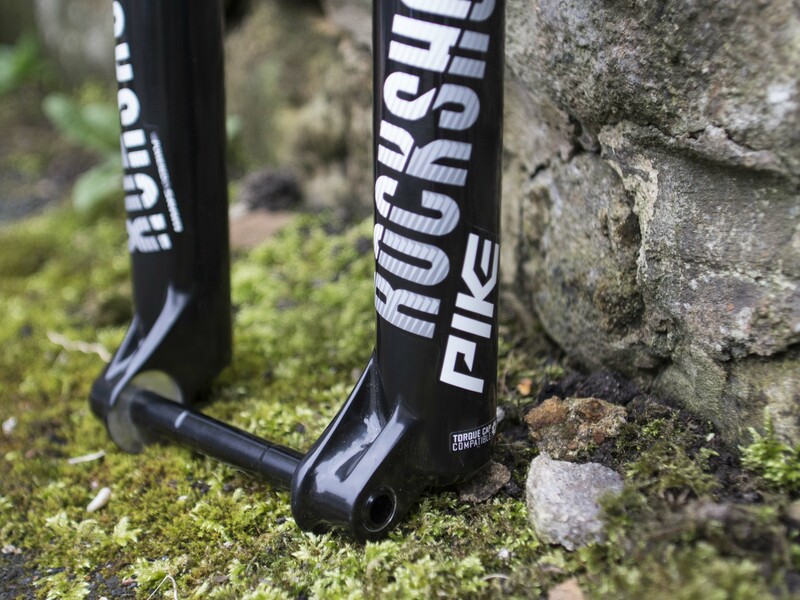 RockShox wanted to create a smoother and more adjustable Pike built specifically around Boost 110x15mm hub spacing. First thing’s first. The new Pike is Boost-only. There, I said it. And it’s going to bother a lot of riders out there who may want to upgrade to a new Pike, but don’t have a Boost front hub/wheel on their bike. For those riders, I’m afraid you’re out of luck, because this fork will only fit a 110x15mm front hub. Having co-developed the Boost hub standard (that’s 148x12mm on the rear, and 110x15mm on the front), SRAM is a firm believer in the advantages the wider hub brings to the party, and is drawing a line in the sand with the new Pike. RockShox will continue to make forks in non-Boost versions, such as the Reba and Recon, but if you want a Pike, Revelation, Lyrik or Yari, it’s Boost all the way. As you can probably tell, there’s loads more tyre clearance in the new Pike. A 2.8in wide tyre will fit! 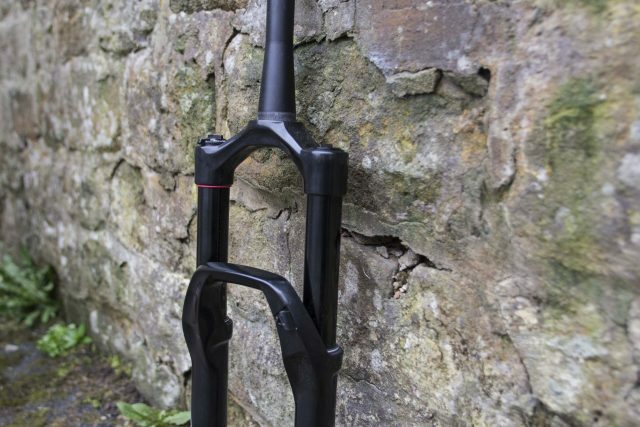 Specifically designing the Pike around the wider 110mm hub has allowed RockShox’ engineers to increase tyre clearance around the fork arch, with the new lowers offering masses of mud clearance for filthy British riding conditions. For those who dig the plus thing, you’ll be happy to note that the Pike will fit tyres up to 2.8in wide. 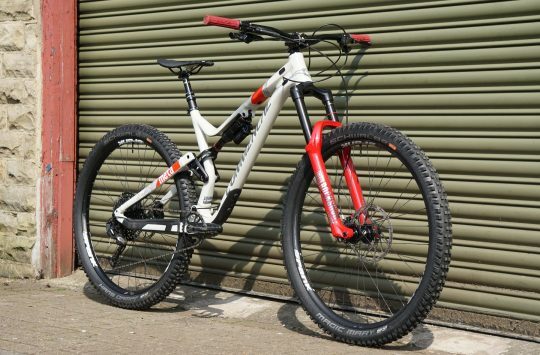 The fork is available in both 27.5in and 29in versions, and RockShox states that you can actually take the 29in model and squeeze in a 27.5×3.0in wheel and tyre. Despite increasing stiffness with the new chassis and wider axle, RockShox states the new Pike actually comes in up to 150 grams lighter than the previous Boost’d Pike fork of the same travel. However, we’ll have to wait before we can get our hands on a production fork before we can verify those claims. 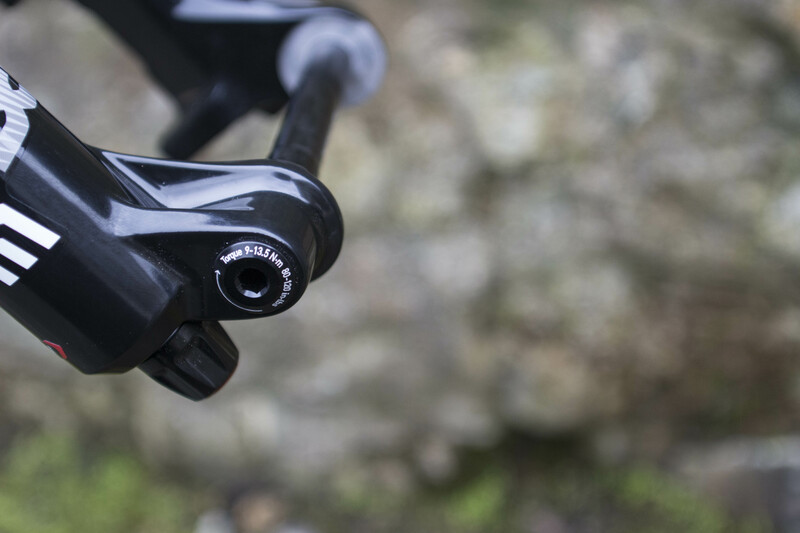 The fork now comes with two axle options; the familiar Maxle Ultimate with its quick-release style lever, or a bolt-up Stealth axle that offers a super clean low-profile look. RockShox has also moved the minimum brake rotor size to 180mm, with post-mount tabs offering a direct-mount option without need for an adapter. You can also get a Maxle Stealth axle. Where the new Pike gets really interesting is in its brand new DebonAir spring. That name should be familiar to most of you, because it’s a design ethos that RockShox first pioneered with its rear shocks in 2014. 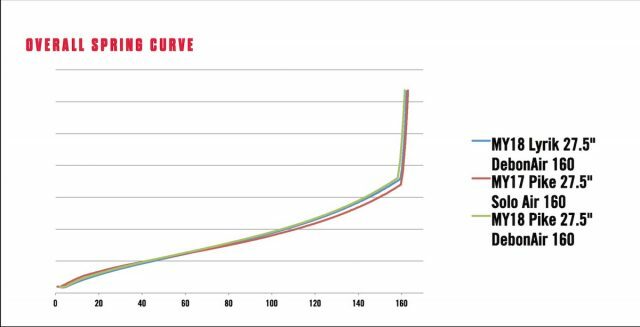 The concept with the DebonAir can was to create a larger negative spring volume that would increase suppleness for the first 1/3rd of the shock stroke. The effect of the DebonAir meant the shock would ease into its travel more readily, creating a smoother feel, improved traction and better small bump compliance. The concept with the DebonAir spring inside the new Pike fork is exactly the same. The execution is a little different. Rather than the visually enlarged air can for the DebonAir rear shocks, all the changes for the DebonAir spring in the Pike occur inside the left-hand fork leg. A change in the location of the transfer port between the positive and negative air chambers has helped to increase the negative spring chamber by 10%. That doesn’t sound like a whole lot, but I can assure you the change is wholeheartedly noticeable on the trail. 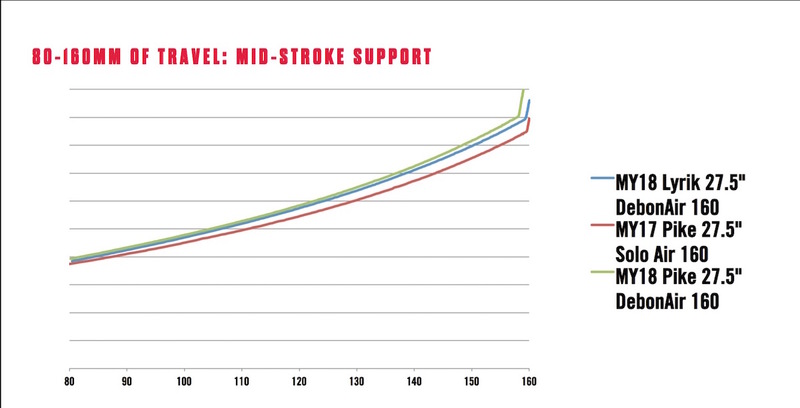 …and slightly more mid-stroke support compared to the current Pike. It doesn’t look like much has changed, but the effect on the trail is immediately apparent. What’s interesting is that the DebonAir fork spring isn’t actually new. 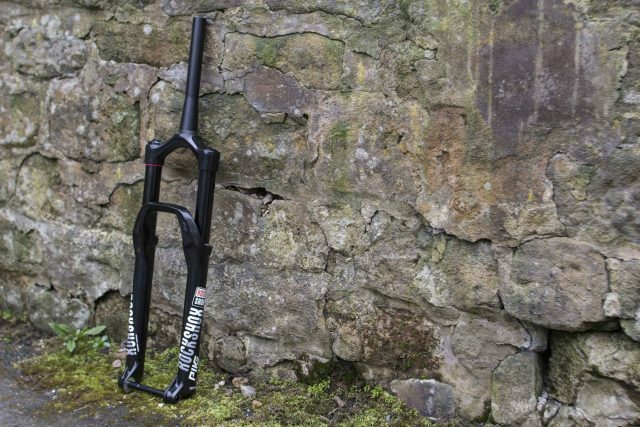 RockShox introduced the revised air spring in the 2017 Lyrik and Yari forks, but for whatever reason, decided to keep it on the down-low up until now. Otherwise the overall architecture of the spring assembly remains mostly the same. The DebonAir spring is still compatible with Bottomless Tokens, so you can add or remove tokens from the top cap assembly to alter the fork’s spring rate and bottom-out resistance. 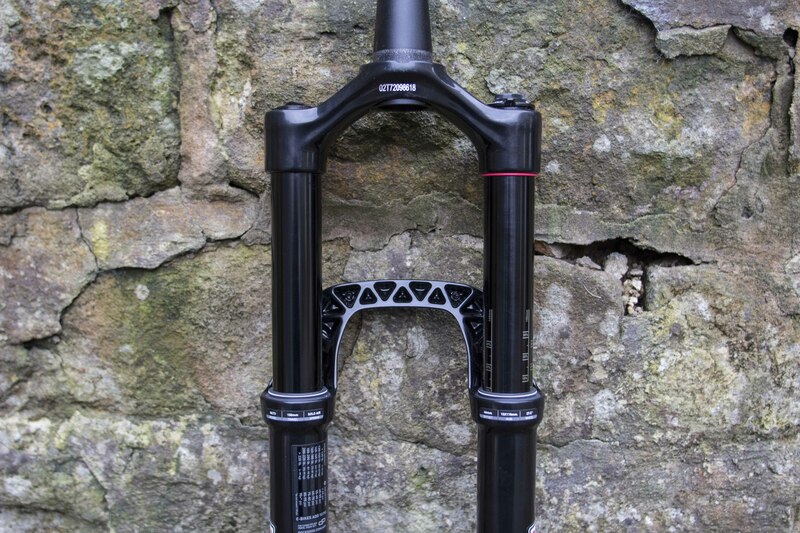 RockShox has also simplified the system across the two different wheel size options. Basically the 160mm travel 27.5in Pike comes stock with zero tokens, then for every 10mm less of travel, a Token is fitted. So the 150mm fork comes with one Token as stock, and a 130mm fork comes with 3 Tokens as stock, and so on. The new Charger 2 damper. Inside the other fork leg is where further refinements have been made for the new Pike. The Charger damper was one of the big changes for the re-launch of the Pike in 2013, using a sealed damper cartridge with a rubber bladder to manage oil expansion during suspension compression. 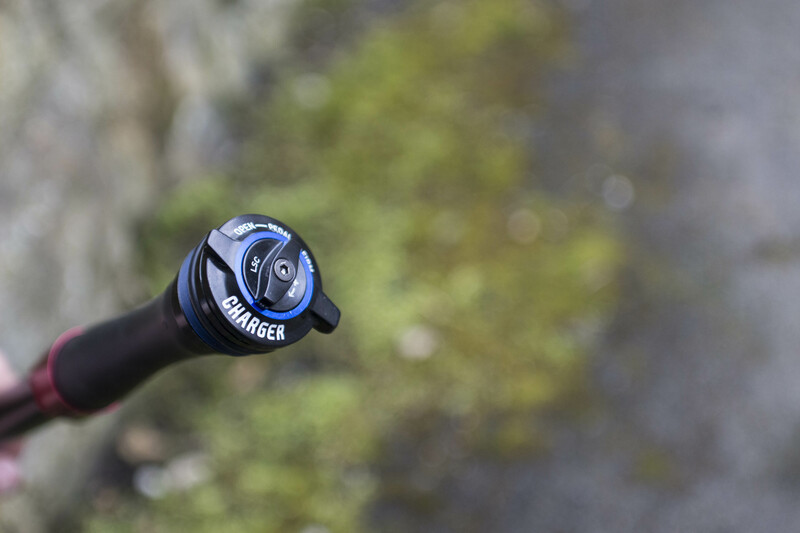 The Charger 2 damper is an evolution of that same package, but brings with it more adjustability and increased versatility. One of the driving forces behind the Charger 2 damper came from OEM customers, who were requesting remote lockouts. I’m not a particularly big fan of remote lockouts myself, and many British mountain bikers would share the same sentiment (that’s another cable to fill with mud and water right?). But it seems that there are enough riders and brands out there that want them, so RockShox had to come up with a solution. 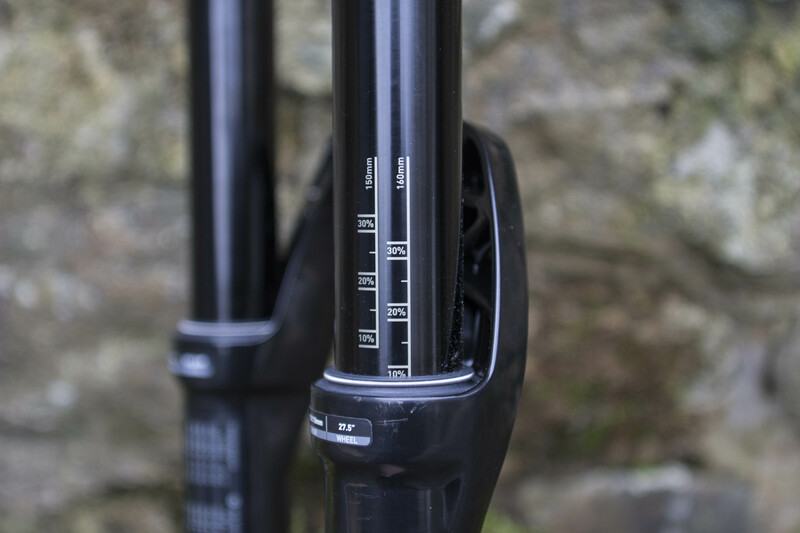 The RCT3 dial is lower profile, and is now compatible with RockShox’s OneLoc handlebar remote. The previous Charger damper made use of a heavy spring inside its compression assembly, which meant the compression dial would require quite a large amount of force to twist. In a crown-mounted dial, that’s not that big of a deal. But to attach a cable to that dial and rig up a handlebar remote, it was nigh on impossible. As such, the Charger 2 damper has been redesigned to reduce the rotational force required to activate the dial. 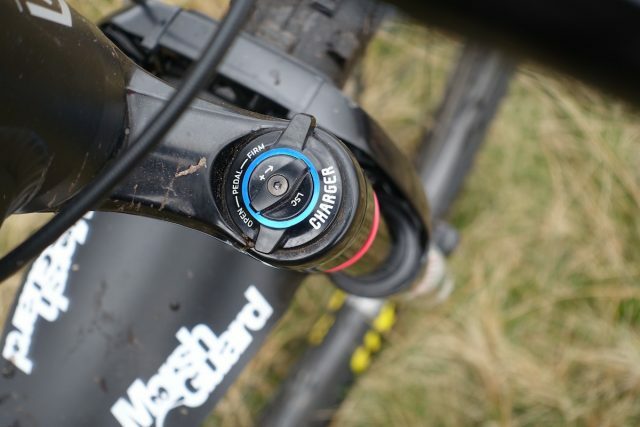 Now the dial is much smoother to rotate, making it compatible with RockShox’s OneLoc remote for those riders who wish to have fingertip control of the Open and Firm settings. 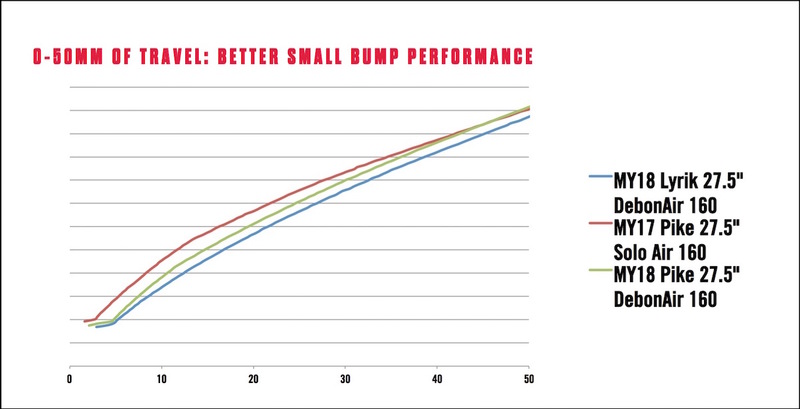 The internals have been tweaked too to offer greater adjustability of low-speed compression adjustment. 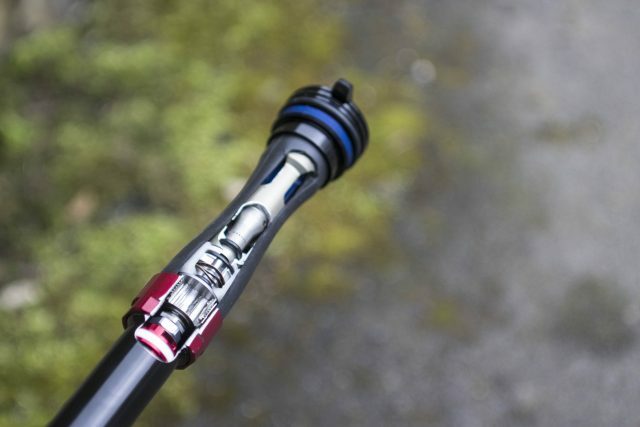 RockShox will offer three damper variants in the Pike. There’s the RCT3 (tested), the RCT Remote, and the RC. The RC is a cheaper version that will only be available as an OEM product. The RCT3 model comprises of a large alloy dial with three pre-set positions: Open, Pedal and Firm. On top of that is a smaller dial that offers independently adjustable low-speed compression damping when you’re in the Open mode. Compared to the old Charger damper, Charger 2 offers a wider range of adjustment for the low-speed compression damping, and RockShox has also tweaked the Pedal setting to be more usable off-road. I rode a 150mm travel RockShox Pike RCT3 fork on the front of a Commencal Meta TR 4.2. While I’d love to say that I’ve been punishing a set of Pike forks over the course of a brutal British winter, that simply hasn’t been the case – and I’m not going to pretend otherwise. This fork is brand new, and I’ve only had the one ride to get some initial impressions of how it feels on the trail. As it turns out though, that one ride was all it took to realise that the new Pike’s performance is a significant step up over the old version. The model I was riding is the RCT3 version with 150mm of travel and a 27.5in chassis. With the larger negative air chamber inside the DebonAir spring, it is immediately apparent just how much more buttery smooth the Pike is in that first portion of the travel up to the sag point. Just like the Lyrik fork, the Pike delivers incredible small-bump sensitivity. And given how smooth the previous version already was, that’s saying a lot. Huge mud clearance with regular tyres, or clearance for up to a 2.8in wide tyre. For my 70kg riding weight, about 60psi inside the DebonAir spring was about right to get setup at just under 30% sag (for those wondering, that’s measured while standing up on the pedals to measure sag, not sitting down). RockShox has taken time to revise it’s setup guide on the back of the left-hand fork leg, and I found the recommended air pressure settings to be bang-on for my weight. For the climb on the way up and out of the valley, employing the Pedal setting helped to firm up the fork, while keeping it responsive to the potholes and cobbles littered along our route. The Firm setting is very firm, and is about as close to a full lockout as you can get. There’s still a blowoff threshold built in to the compression circuit however, so you’ll still get movement if you hit something hard enough while in the Firm setting. In the Open setting, you’ve got 18 clicks of LSC adjustment. On the flatter intermediate sections of trail, I flicked the 3-position dial into the Pedal setting. As claimed, this setting is now smoother and more usable than the Pedal setting of old. For heavier and more aggressive riders, this Pedal setting could quite possibly be the position that you run the fork in for 90% of the time. For me however, I like my suspension soft and supple, so I flicked the dial into the Open setting to enjoy all of the Pike’s rock-gobbling capability. Once we started moving back off the top of the moors and down into the valley walls, the other benefit of the DebonAir spring started to become apparent. Compared to the previous Solo Air spring, the new DebonAir spring offers a slightly flatter curve through the mid-stroke, which helps to boost support when you’re getting stuck into the travel. Rather than sinking through the mid-stroke, the new Pike delivers an additional degree of control and support that allows you to push off it when you need to release the front wheel up and off the ground. With our descent containing multiple line choices across deep rock-strewn ruts, being able to quickly pop over the top of the rubble makes it easier to seek out the faster lines. Low profile top caps are now removed with a cassette tool. Nice! The latter part of the descent stretched into a straight-line charge that allowed us to let off the brakes, tuck in behind the handlebar, and point the front wheel straight down the hillside. 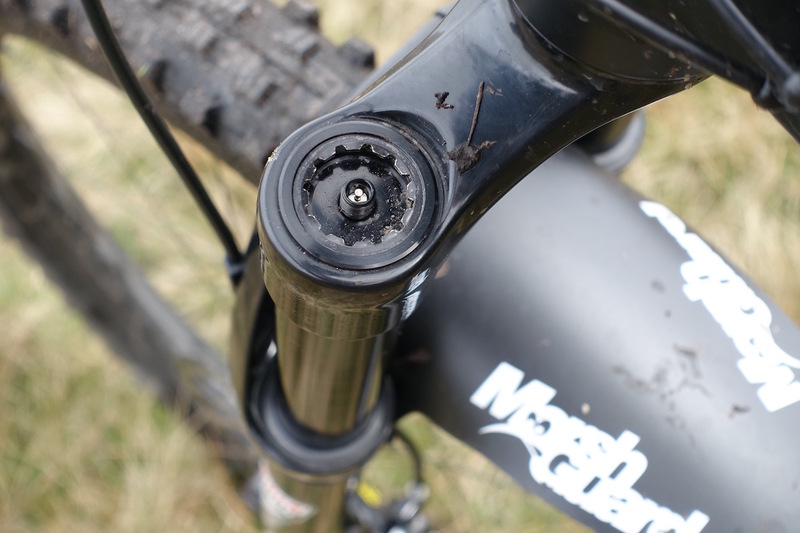 As the speed increased, that lovely fluttery top-section of the Pike’s travel came into play, allowing the front tyre to maintain more consistent contact with the trail, and therefore, more traction. In this moment, I found the Pike to possess a very similar feel to the bigger travel Lyrik fork – my current favourite when it comes to burly long travel suspension forks. The new Pike is smoother, more adjustable and more versatile than its predecessor. 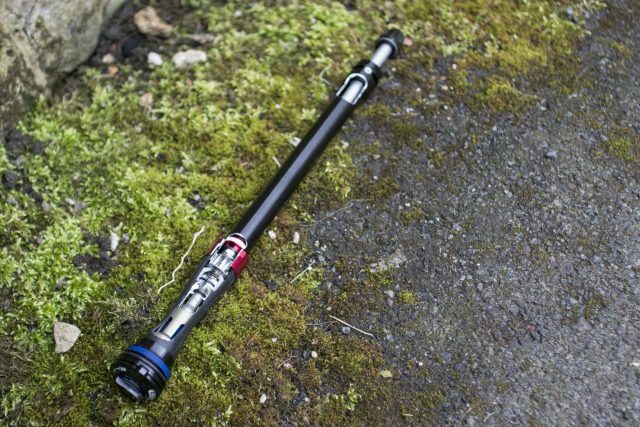 RockShox has done it again. RockShox had an absolutely mammoth task when it came to redesigning one of the most popular suspension forks on the market, and I don’t think the gravity of that can be overstated enough. 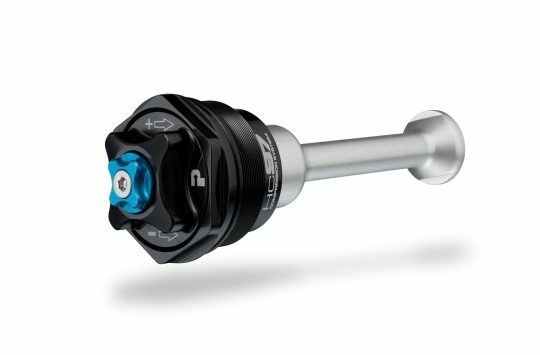 The Pike was already an excellent fork, but RockShox has achieved its goals – the new version is better in every way. 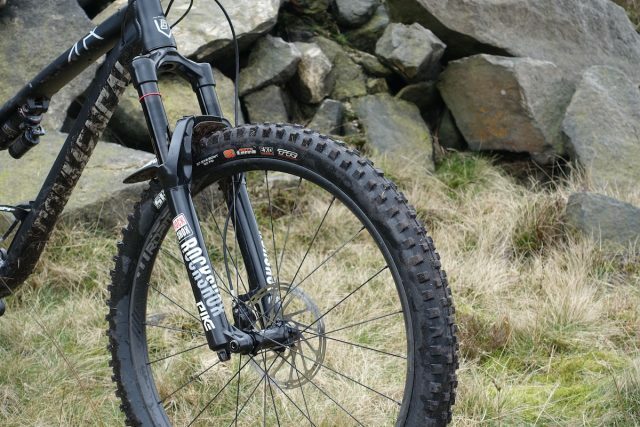 It brings the high-speed control and incredible sensitivity of the Lyrik fork into a lighter package targeted towards trail riders, while also increasing tyre clearance and offering up the option of remote-actuated compression damping. We’ll reserve judgement on longterm durability until we’ve had sufficient time on test forks, but based on RockShox’ two-year warranty and ease of service with its current generation of forks, we have little to be worried about. In the meantime, it looks like RockShox has yet again raised the bar in the trail fork genre. Singletrack7: Who’s Going To Be There? I owned a pike in 2007ish. It was never right despite going back for warranty work three times Once it was out of warranty I tried a service myself only to find that the plungers had been shaving metal off the inside of the stanchions. I owned a 26er 130 dual air rev and a 150 solo air rev, both of which I couldn’t find sweet spots on. Recently I’ve owned 3 Reba 120 29 ers. 1 + 2 warranty. They were all useless and Sramtech’s attitude was insulting. You could tell me a Rockshox product was brilliant until the cows come home- I’d not go there again. I don’t remember reading any reviews of the Yari last year that said that the cheaper fork had a more controlled/better spring curve than the more expensive Pike. Apologies for the delayed response @jim_the_saint! 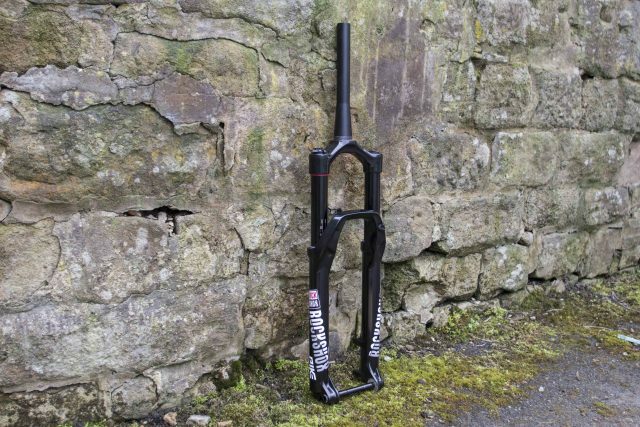 Just to clarify, both the Yari and Lyrik fork have already been using the DebonAir spring for the past 12 months – RockShox just hasn’t shouted about it until now. The DebonAir spring and that larger negative chamber are big reasons why both of those forks have that incredible starting-stroke plushness to them. I can’t speak for other publications and reviewers ‘out there’, but I can say that the Yari is a brilliant fork, and especially for the price. I’ve been riding one on my Whyte T-130 longterm test bike for a good while now, and have been super impressed. The Yari also received a rave review from Barney when he reviewed one for the magazine. However, the Yari fork is essentially a cheaper version of the Lyrik, and so it features an open-bath Motion Control damper rather than the sealed Charger damper found in the Lyrik and Pike. This means it’s damping control isn’t on the same level as the Lyrik/Pike forks that employ the Charger damper. This isn’t really an issue at lower speeds, but on faster trails with higher frequency bumps, the Yari just doesn’t have the same level of composure when encountering chatter. It’s the sort of thing you’d feel if you ride both forks back-to-back on a really hard and fast trail. With the new Pike, it’s the combination of the DebonAir spring and the Charger 2 damper that elevates its performance over the previous version. It’s now more supple in that earlier stroke, and marginally more supported through the mid-stroke. Hope that clarifies things for you, though just let me know if you’ve got any other questions mate!